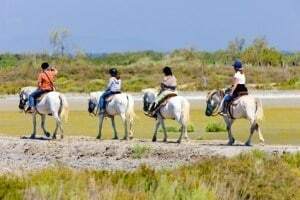 Horseback riding, once a staple in transportation, is now primarily a leisure and sporting activity. Like any type of sport, there are risks and dangers involved whenever someone rides a horse. An estimated 30 million people ride horses each year in the U.S., with a substantial amount of riders ending up in emergency rooms each year, approximately 78,000 in 2007. Although most of these injuries are considered an inherent risk of riding, in some cases they may be due to negligence of an equestrian facility or professional that may be held liable for the rider’s injuries. Provided the equipment or tack, and knew or should have known that the equipment or tack was faulty, and the equipment or tack was faulty to the extent that it caused the injury. …in lawful possession and control of the land or facilities upon which the participant sustained injuries because of a dangerous latent condition that was known to the equine activity sponsor, equine professional, or person and for which warning signs were not conspicuously posted. While there is a certain amount of risk that is assumed by the rider, in Illinois if the equestrian facility or professional causes an injury through negligence, they can be held liable for any injuries that are caused by that negligence. Traumatic brain injuries. The most common cause of death from horse riding is brain injury. Head injuries account for an estimated 18% of all horse riding injuries. A study in 2007 by the CDC showed that horse riding was the number one cause of brain injury by any single recreational activity. Spinal and back injuries. The actor Christopher Reeves made the dangers of horse riding known world wide when he became paralyzed from his spinal cord injury when thrown from a horse. Fractures and soft tissue injuries. Fractured bones, contusions, lacerations and soft tissue damage are the most common types of injuries from horse riding. Dismounted injuries. One out of three horse rider injuries happens when a rider is dismounted. Many are caused by a horse kicking or stepping on the rider. Horse riding injuries can be extremely serious, even fatal, often leaving the victim with permanent disabilities, especially in brain and spinal injuries. If the injury was caused by negligence of an equestrian professional, they can be held liable for the injury. Compensation can be sought to cover medical bills, lost wages, ongoing therapy and even pain or suffering of the victim and family. A person injured by a horse may have legal rights against the owner of the animal or center where the incident occurred. Rosenfeld Injury Lawyers LLC has successfully represented individuals in these cases to recover compensation for their injuries. Our team begins working on your case from the time we are retained to present the most favorable case for you. As with all of our cases we offer free consultations and will come to you.